The instructors and staff at Master Martial Arts is knowledgeable about all aspects of Taekwondo. All our Instructors are 2nd Degree Black Belts and Above. We are excited to be able to offer our students such a great Staff. 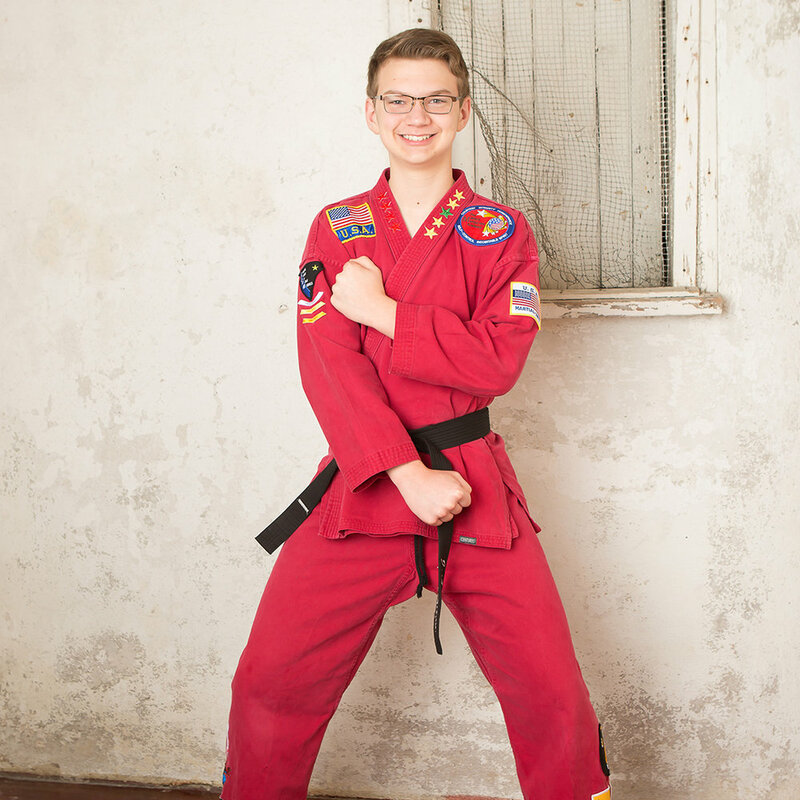 Mr. Mast is an 8th Degree Black in Taekwondo and has trained in JiuJitSu and Kung Fu as well. He was a National Champion as well as a medal winner at the Good Will Game in Russia in 1993. She may be our tiniest tiger, but she is fierce! Ms. Emma recently earned her 2nd Degree Black belt because she works hard at her martial arts training.. She inspires other students in the classroom. We are so proud to have known Mr. Bruce since we started our martial arts school. He is a 5th Degree Black Belt in Taekwondo, our instructor and our friend. Ms. Mast is a 6th Degree Black Belt and former Chairman of the Tennessee Athletic Commission. She also has a Bachelors in Education. They both are very fortunate to be able to do what they absolutely love and share it with the best students ever. Mr. Grant brings his great sense of humor and style to the classroom to motivate our students. He also recently earned his 2nd Degree Black Belt. Mr. Pierce has earned his reputation as High Kicker! He encourages our students to be the best they can be. He also recently earned his 2nd Degree Black Belt. Mr. Agarwal is a 2nd Degree Black and Rising Sophomore at Ravenwood High School. He has a winning smile and attitude that makes his students look forward to the days he is teaching. Mr Barr is a caring dedicated martial artist who works hard at engaging each student in their martial arts training. He seems to grow an inch a week and we are trying to keep up with his growth! She started at the age of 4 in our Little Dragon's Program and now she is a 2nd Degree Black Belt and helps teach our Dragons. She is a huge role model to all our martial artists, especially the girls.